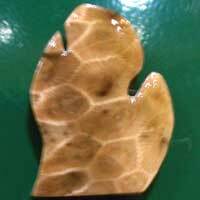 Michigan Mitten Petoskey Stone Magnet measures 1 ½” with a strong rare earth magnet is on the back. Use this Michigan Memorabilia/Keepsake Box for all your small treasures. 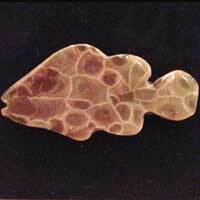 Featuring natural stones, minerals and artifacts from the Great Lakes State. 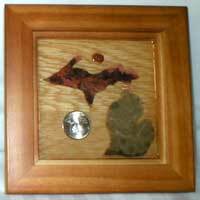 This Michigan Plaque features natural stones, minerals and artifacts from the Great Lakes State. 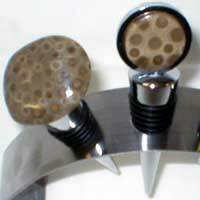 Petoskey Stone Wine Stoppers are metal wine stoppers with a 2? to 3? 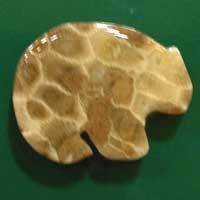 diameter polished Petoskey Stone attached to the top. 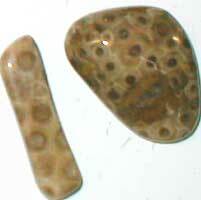 Petoskey stone magnets are coated in epoxy with magnet attached. 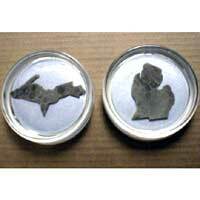 The Michigan Petoskey Stone Coasters are individually cut and inlaid into clear acrylic. 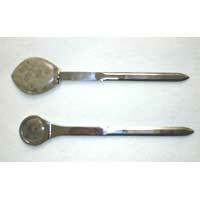 The Petoskey Stone Letter Openers are polished chrome with a beautiful polished Petoskey Stone. 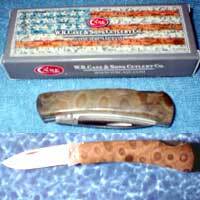 This Petoskey Stone Pocket Knife is a Case USA Gentleman’s Lockback Single Blade in all stainless steel with a custom Petoskey Stone handle. 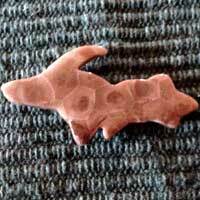 Petoskey Stone Upper Peninsula Magnet measures 2.75 inches wide with a very strong rare earth magnet on the back. 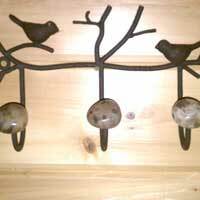 Steel Coat Hook with Petoskey Stone . 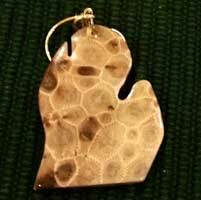 Michigan Mitten Petoskey Stone Ornaments shaped like the lower peninsula of Michigan. 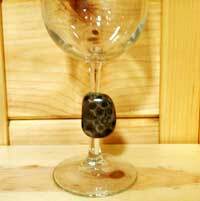 Petoskey Stone Wine Glass. 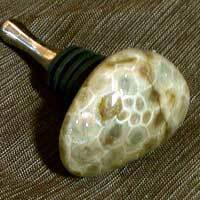 The wine glass stem goes through a Petoskey stone. Makes a unique gift! 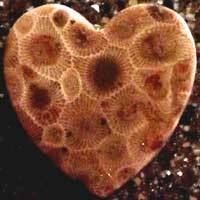 Petoskey Stone Heart Shape Magnet measures 1.5″ x 1.5″ with a very strong rare earth magnet glued to the back. 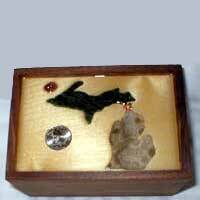 Petoskey Stone Bear Shape Magnet measures 1 ¾” x 1 ½” tall with a very strong rare earth magnet. 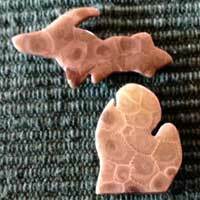 Michigan’s Upper Peninsula & Lower Peninsula Petoskey Stone Magnets with a very strong rare earth magnet glued to the back. 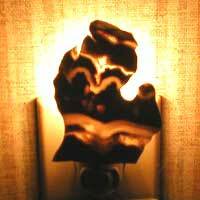 Petoskey Stone Fish Magnet measures 2″ x 1″ and has a rare earth magnet glued on the back.